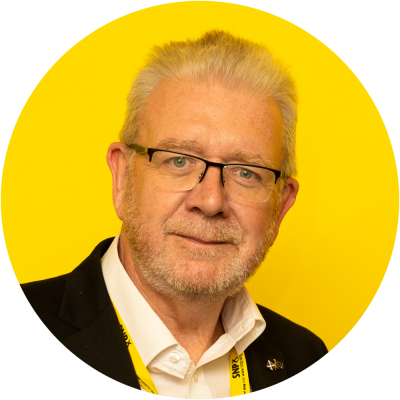 I have been a member of the SNP since 1974 – near enough 45 years. I have been through times when the party was lucky to secure double figures in opinion polls and times when we swept all before us. But I won’t be content until we reach independence – the state which will make Scotland a normal nation once again. The fact that there is a way to get there which is legal and would be internationally recognised is due at least in part to a meeting held in June 1997 between Alex Salmond and Donald Dewar. I was lucky enough to be present in my role as SNP chief executive. The meeting, held in Dewar’s room in the House of Commons, discussed the issue of SNP participation in the upcoming devolution referendum. To have that agreed by the party’s National Council there had to be a clear commitment by the then-Labour government that the Scotland Bill would not put in place any glass ceiling to stop Scotland becoming independent if the people so wished. Dewar understood how important this was, given that the SNP wouldn’t take part in the Constitutional Convention eight years earlier because the Unionist parties refused to consider independence as a legitimate option. He also needed SNP backing for the referendum and, while nothing in the bill specifically enabled independence, he agreed that nothing – crucially – would be put in to prevent it. That assurance allowed the party to campaign alongside Labour and the Liberals – and of course against the Tories – to secure a double Yes vote in September 1997 and a Scottish Parliament less than two years later. So there is a constitutional route to independence, unlike the situation in some other countries. However, in order to secure a referendum on any subject which is reserved, as the question of the constitution undoubtedly is, a vote in both parliaments is needed. Unfortunately that fact cannot be wished or tweeted out of existence. We were able to hold a referendum on independence in September 2014 because there was not only a mandate to do so gained in the landslide victory in 2011 but also because David Cameron didn’t think we could win and thus did not regard the passage of a Section 30 enabling order at Westminster as a risk. There is a mandate again but the politics are now very different. Theresa May is pretty sure we would win and that is why she, and those around her, have been so dogmatic and dismissive. They are actually scared stiff. So the hard question is how you convert a mandate into action. It is a question that, paradoxically, confronts the Tory UK Prime Minister too. She has a mandate to deliver Brexit and leave the single market and the customs union, given to her by English voters in her ill-judged snap election in 2017, but she can’t get the votes at Westminster to make it happen. We have a mandate for an independence referendum, but the constitution requires Westminster to agree to it too. We cannot ignore the law, because in those circumstances there would be no international – and crucially no EU – recognition for the decision. There would also likely be a noisy Better Together boycott of the poll, which would alienate the very people we need to persuade to choose independence. At the same time there are, looming, the huge problems that would be caused by Brexit for every family and business in Scotland. We have worked tirelessly in every part of government to try and avert a no deal which would be truly catastrophic but we must also try and ensure that Brexit itself is averted. The First Minister has been absolutely right to recognise that is where people are, and she has made sure that their Scottish Government is with them. She is also right to take each step forward across the constitutional minefield with care and considerable thought. I have no doubt that she will get us to where we need to be at the moment we need to be there, not least because she – and everyone else in the Government, including me – has not lost an iota of her thirst for independence. But after 45 years of trying, and one huge disappointment in almost succeeding, I for one don’t want to risk the damage that further failure would do when it is clear that – by means of progressive politics, patience, planning and persistence – Scotland is moving inexorably, beyond doubt or challenge legally, from dependence to independence.